And it hurt, it really did! I didn’t realise how bad I would feel, even though it’s just one, but, now, I sit and think that it’s just another step in my journey. What does make me feel better though, is a post on Cristian Mihai’s blog – about famous, best-selling authors who got rejected – that I found early on in my wordpress endeavor. I bookmarked it so that I could always go back to it. And it reminds you that authors like J.K. Rowling, Dr.Seuss, Hemingway, and H.G. Wells all got rejected numerous times before the worlds they created became the worlds many people grew up with. The Wizarding World got rejected twelve times! I think it’s also really important to remember that when your submitting, that agents are just human, and as Agatha Christie got 500 rejections (and we all know where she ended up), they can make mistakes or overlook something that may actually work. And, if Agatha didn’t give up after 500, I don’t think anyone can justify giving up after 1! There’s also a quote that I found this year, a quote that I make sure I have close to me when I write, just to remind myself of something really important! So, even if I get to 500, I want to remember that I’m writing these novels and stories to see how my characters end up (because I can plan the whole thing and it can go the complete other way), and to experience journeys in to new lands without needing to leave my house! First Batch of Submissions Sent! So, just a quick little update! And for me to document this momentous day! Today, the 8th June 2017, I sent my first finished novel to some agents! I thought I’d feel better, but the nerves are already bubbling inside of me, and although, I’m a pretty patient person, I think this wait may be one of the hardest of my life so far! Now, I’ve told myself I’m not allowed to even look at my novel because I know, that despite the amount of times I’ve looked over it, I will find something wrong with it and just make myself feel bad! 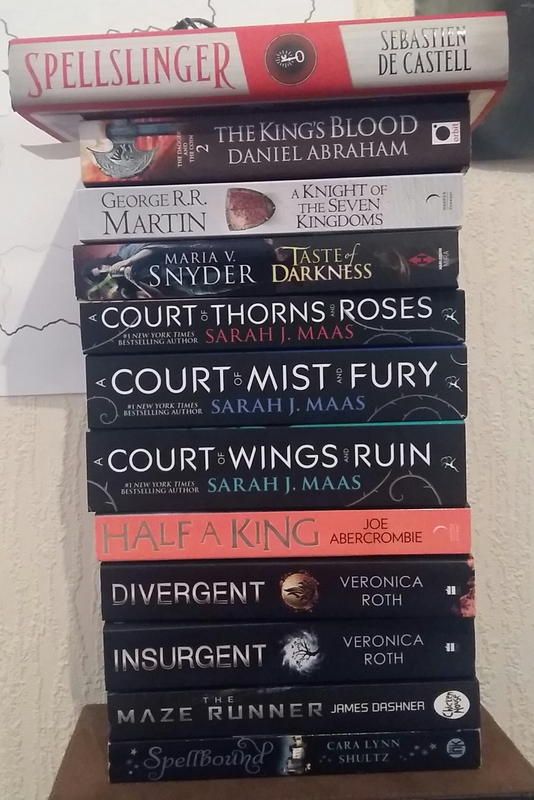 So, to keep my mind from it, my aim for the rest of June is to try and put a dent in my TBR pyle! And I’m also going to continue writing the second novel in my quadrilogy, and start planning out a new novel I’m hoping to complete for Nanowrimo! I’ve always tried, but never successfully completed one so hopefully 2017 is the year of success! Although, if it’s not, I’ll take it on the chin and try even harder next year! Posted on Jun 8, 2017 Mar 3, 2018 Categories LetsWrite, Life, writingTags Agents, literary agents, novel, Submissions, Write, writing1 Comment on First Batch of Submissions Sent!